"Chinese medicine is guided by a fundamental belief in the whole body concept of health, which involves the inseparable relationships of the body, spirit, emotions, and mind." Each individual is an organic whole, composed of the physical body, mind, emotions and spirit. Disease occurs and develops when the balance within the individual is lost. Poor constitutional factors, stress, emotional instability, improper diet and overwork can all affect this balance negatively. A TCM professional acknowledges this connection by conducting a consultation that goes far beyond one's medical history, examining the whole person and not just the symptoms of the illness in order to design a specific treatment program unique to the patient's clinical profile. TCM treatment helps return a person to health by restoring harmony to the whole, helping the body heal itself. Scientific research shows that acupuncture points display a variety of unique bioelectrical properties, and that stimulating the points causes definite physiological reactions, which affect the activities of the brain, blood pressure, heart rate and the immune system. Acupuncture triggers the production of endorphins, the body's natural painkillers, and positively affects the endocrine and nervous system, helping the body to achieve a state of balance. Because of the thinness and flexibility of acupuncture needles, insertion is nearly painless. Acupuncturists attain a high level of skill in gently placing these tiny needles, and often insertion is barely perceptible. You may feel a vague numbness, "heaviness" or slight tingling. After treatment, almost all patients feel a significantly high level of relaxation. Experiencing euphoria due to body changes is also possible. Some patients may fall asleep during treatment. Chinese believe that there is a universal life energy called "Qi" (pronounced "chee") in every living creature. It keeps the blood circulating, warms the body and fights disease. Qi circulates throughout the body along pathways called "Meridians", which surface on the skin at specific points. Each point is connected to specific internal organs. Good health depends on the smooth flow of Qi, and when the flow is blocked or disrupted, pain and illness will result. The aim of TCM is to correct the flow of Qi. Changes in Qi precede physical change, so acupuncture can act as preventive medicine, correcting the energy before a serious illness can occur. If physical change has already occurred it can be reversed by adjusting the Qi. For thousands of years, TCM practitioners have known of and employed a vast array of herbs with medicinal properties. Western pharmacology is now beginning to acknowledge these natural counterparts that don't have the side effects of processed pharmaceuticals. 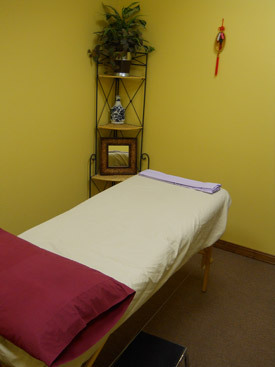 In TCM, herbs are almost always prescribed in conjunction with acupuncture and other treatments. 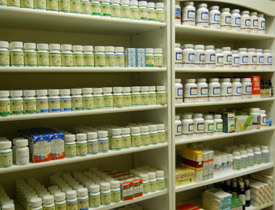 Medical herbs are dispensed to each patient in a formula based on the individual's constitution and current medical condition, in the form of tea, pills, poultices or tinctures. Herbal formulas are extremely effective in encouraging the healthy flow of Qi and helping to restore and rebalance the organs.